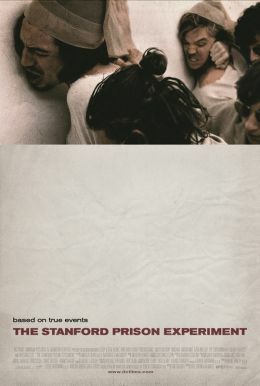 This film is not a movie; it’s not about a bank robbery. It is bank robbery. 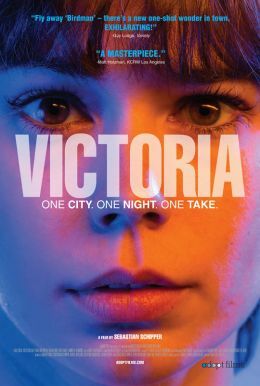 “Victoria” was shot in one single take. Two hours and eighteen minutes. No cuts. No CGI. No cheap tricks. No expensive ones, either. Just one shot. Victoria, a young woman from Madrid, meets four local Berliners outside a nightclub. Sonne and his friends promise to show her a good time and the real side of the city. But these lads have gotten themselves into hot water: they owe someone a dangerous favor that requires repaying that evening. As Victoria’s flirtation with Sonne deepens into something more, he convinces her to come along for the ride. And later, when things become more ominous and possibly lethally dangerous for Sonne, she insists on coming along. As the night takes on an ever more menacing character, what started out as a good time, quickly spirals out of control. As dawn approaches, Victoria and Sonne address the inevitable: it’s all or nothing and they abandon themselves to a heart-stopping race into the depths of hell.